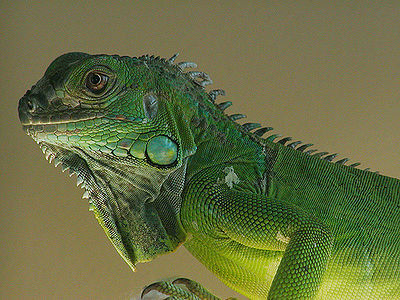 Iguanas have become popular pets recently, especially the green iguana. One reason for this is their low price and another is the impression that they are easy to care for. 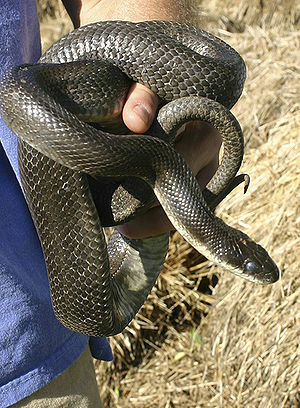 However, they do have strict feeding and housing requirements which must be taken into consideration. Additionally, the pet trade has caused the population of iguanas in the wild to decrease dramatically. Iguanas can grow to be very large and aggressive and owners need to have realistic expectations. 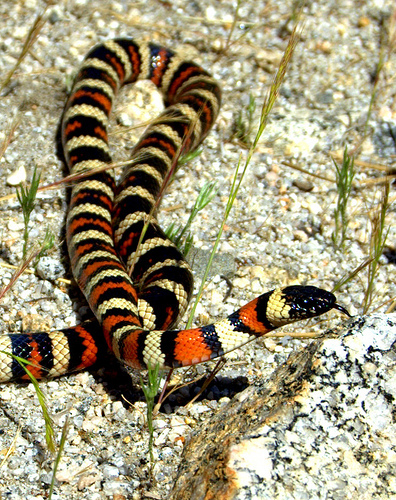 Many reptiles carry Salmonella, a concern for pregnant women, the elderly and young children. Iguanas eat both meat and plants but they prefer leaves and fruits. Green iguanas (especially young ones) will also eat eggs, insects, and small vertebrates. It is important to provide an iguana with a large variety of vegetables in order to meet its nutritional requirements. Some of the best vegetables to for iguanas are collard greens, turnip greens, mustard greens, parsley, dandelion greens, rapini, green beans, figs (raw or dried), green peppers, escarole, raspberries, leeks, snow peas, blackberries, grapes, radish, okra, pears, pricklypear and parsnip. There are commercial diet foods made specifically for iguanas. They do not contain any water so it is important to supplement them with water. Iguanas which are fed large amounts of vegetables will get most of their water requirement from them. With the proper diet, a small amount of calcium supplementation needed which contains no D3. Iguanas live in aquariums and will start out needing a 30-50 gallon aquarium which it will quickly outgrow. It is a good idea to plan to build a custom-made aquarium. The aquarium needs a UVB producing fluorescent tube light (to prevent Metabolic Bone Disease) as well as 2 thermometers to keep track of the temperature on both the cool side and the hot side of the aquarium. In order to digest their food and metabolize calcium, the iguanas should have a temperature of 85 degrees. In order for an iguana to be a good pet it is important to tame him. Iguanas are usually docile for the first few days in a new home, but don’t let that fool you. Iguanas require regular, consistent and gentle handling or else they will become too aggressive. Iguanas tend to bite, whip their tails or scratch. 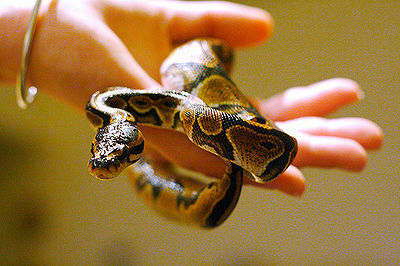 The taming process involves gaining the animal’s trust and this is a process which may take a few months.